Thomas has always had a particular passion for directing from the violin, and has worked in this capacity with Sinfonietta Rīga (recording Beethoven’s Violin Concerto and Vaughan Williams’s ‘The Lark Ascending’), Mahler Chamber Orchestra, Cologne Chamber Orchestra, ACO Collective and Britten Sinfonia, with whom he has recorded Dimitri Sitkovetsky’s transcription of Bach’s ‘Goldberg Variations’. Currently leader of Britten Sinfonia (an orchestra he has been with since 2006), Thomas also led Aurora Orchestra from 2005 to 2016. As concerto soloist Thomas has performed with orchestras internationally including the LA Phil New Music Group, Orchestra Of St. Luke’s, West Australian Symphony Orchestra, and in the UK, the Royal Philharmonic Orchestra, BBC Symphony Orchestra, BBC National Orchestra of Wales, Hallé, City of Birmingham Symphony Orchestra and Royal Scottish National Orchestra. As well as the mainstream concerto repertoire, Gould has become known as an interpreter of new music, including solo works by Hans Abrahamsen, Thomas Adès, James Macmillan, Nico Muhly and Max Richter. Thomas was formerly on the Young Classical Artists Trust (YCAT) scheme. 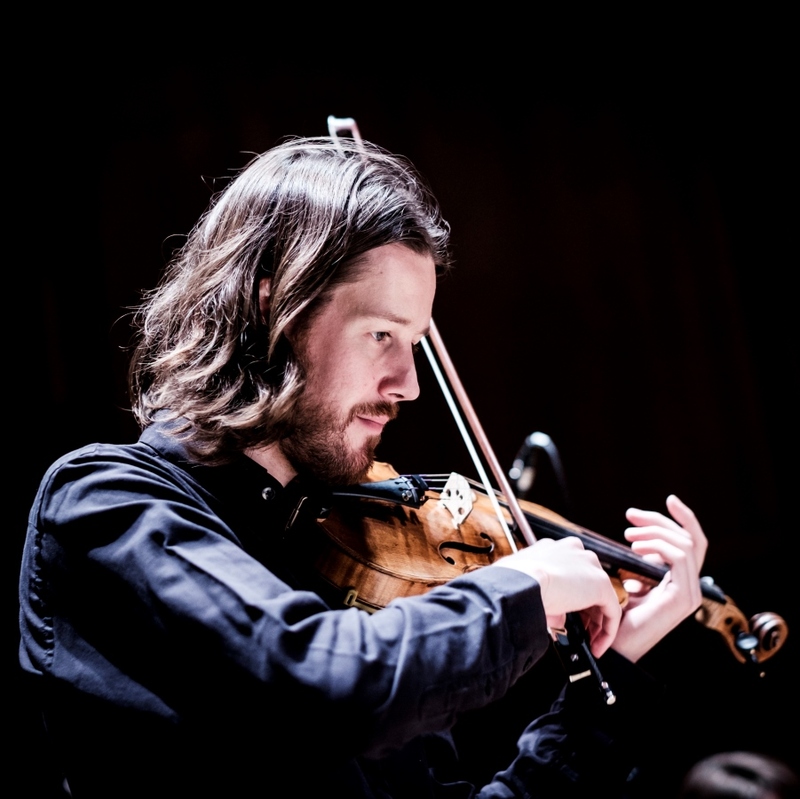 As a chamber musician and recitalist, Thomas has enjoyed partnerships with pianist Alasdair Beatson, cellist Adrian Brendel, accordionist Ksenija Sidorova, the Artea String Quartet (with whom Thomas has recorded quartets by Mendelssohn and Schubert on Champs Hill Records), and has performed as a guest with the Nash Ensemble. Thomas is a regular participant at IMS Prussia Cove and Dartington International Summer School. Jazz is a more recent strand to Gould’s career, and during 2017/18 he is presenting a series at Kings Place called the ‘Gould Standard’. Recent collaborators include pianist Gwilym Simcock and saxophonist Tim Garland, and for five years Thomas played in the successful swing band ‘Man Overboard Quintet’, recording two albums for Champs Hill Records. Another recent collaboration outside classical music is with techno music pioneer Jeff Mills. 2018 sees the release of a new quintet jazz album called ‘Hourglass’ featuring the music of Johannes Berauer. Thomas is a Fellow of the Royal Academy of Music, where he studied between 2001 and 2006 with Joji Hattori and György Pauk. He plays a 1782 G. B. Guadagnini violin.